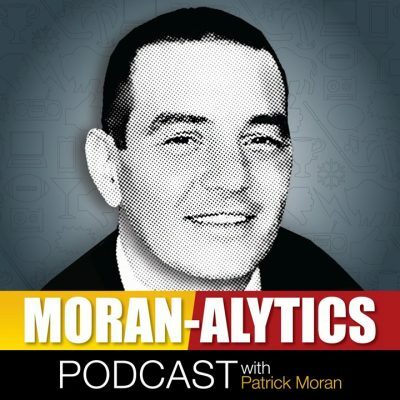 On this episode of the Moran-Alytics Podcast Patrick Moran is joined by one of the rising young sports talk radio show hosts in Western New York, Nate Geary of WGR550 in Buffalo. The two fully recap the NFL draft from both a Buffalo Bills and league-wide perspective. They discuss the much anticipated yet highly scrutinized decision of Bills general manager Brandon Beane to trade up five spots and select quarterback Josh Allen, a decision that instantly sparked a lightning rod of reaction among fans. Geary talks about how much he loved the Bills “other” big first-round move that came with zero controversy, trading up for linebacker Tremaine Edmunds. This is a guy that could become one of the better linebackers in the league. They break down all the Bills draft selections and discuss how they may fit into the team’s immediate and long term plans. The two wrap up by talking about some of the other teams in the league and how they fared with the draft, with both agreeing Green Bay and Denver had great drafts while the opposite for New Orleans. The two disagree on Baltimore and Pittsburgh. After that Tone Pucks drops in for their weekly Pat With Pucks segment and the two put an emphasis on the fans reaction of drafting Josh Allen, the Pegula’s involvement in the process if any, the state of the Bills roster now that the draft is complete and wind down by talking about the Buffalo Sabres winning the draft lottery Saturday.